Let’s Talk About Why Gotti Pitbulls Are So Popular! Originated in Los Angeles in 1997, the Gotti Pitbull breed has been a popular one because of its unique physical characteristics. 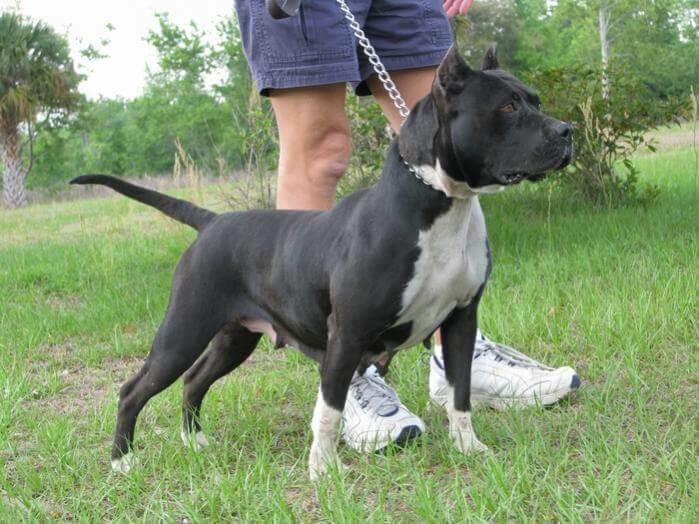 Mind you, the Gotti is still an American Pitbull Terrier with unique features. 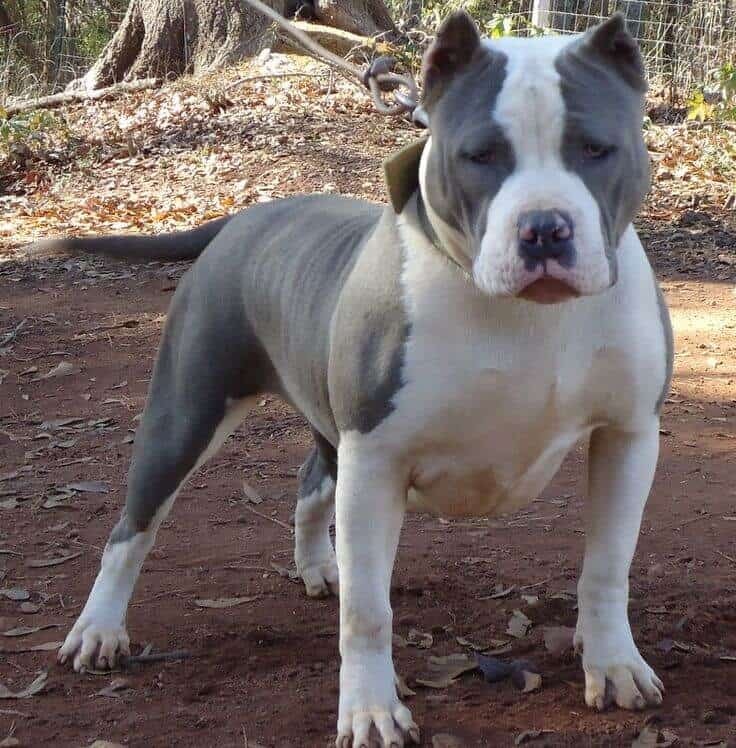 The Gotti Pitbulls are very stocky and have a wide body and a broad head—features which can Help you recognize the Gotti in just one glance. These dogs seem get a lot of attention wherever they are. Because of this popularity, the Gotti Pitbulls sell for a premium. In this blog post, I would like to share with you the history of Gotti Pitbulls, their temperamental traits, physical characteristics, etc. So, without further ado, let’s just begin! The Gotti Pitbull Bloodline was actually started in West Side Kennels by Richard Bajras who happened to own the first sire ever known as The Notorious Juan Gotty bought from Tony Moore in 1997 for a price of $1,300. The Gotty sired as many as 900 United Kennel Club registered Pitbulls! What started out with just Juan Gotty, the bloodline quickly gained mass popularity and spread across the USA as well as other countries like Philippines, Japan, Canada, China, etc. As you can see, the Gotti Pitbulls are named after their sire—the Juan Gotty. Gotti Pitbulls are often shorter, thicker, and broader than the regular Pitbull Terriers and have a good temperament. Let’s find out more in the following sections. The Dog Looks Intimidating, What’s His Personality Like? Gotti Pitbulls have temperamental and personality traits similar to those of the American Pitbull Terriers. It is true that just because of their intimidating and bulky looks, these dogs have a negative public image where some people are actually frightened of these strong and bulky creatures. Pitbull Terriers have a bloody history. However, their history is something that shouldn’t be held against them as these dogs are now bred to be companions to human beings. The Gotti Pitbulls love to please their owners and win their approval. These dogs are extremely loyal, loving, humorous, friendly, and fun. They can be a little strong-willed and that’s what makes training a little tricky as they need a strong-willed trainer whom they can respect. These dogs are highly intelligent and catch on to things pretty quickly. Gotti Pitbulls and Their Activity Needs! It is a universal truth that all dogs love to run around and play—some more than the others. And Gotti Pitbulls are very active dogs, just like all American Pitbull Terriers! These dogs need to be walked at least twice a day–or a minimum of once a day and they love to run, jump, swim, and just be a dog. These dogs do very well with owners that lead an active lifestyle. A lack of activity can seriously imbalance this dog as he tried to find other channels for his energy which could include negative behaviors such as digging holes, chewing, biting, etc. Gotti Pitbulls can also gain a lot of weight become obese which can lead to problems such as hip and elbow dysplasia. So, the activity needs of the Gotti must be met at all times. The good news is that the Gotti Pitbulls are very low maintenance. This dog’s coat lays flat against the skin and is short and smooth in texture and keeping up with grooming needs won’t really be a problem if you own this dog! All you need to do is brush the dog at least once a week which helps keep the coat smooth and removes excess hair (which means less shedding!) and you’re basically good to go. You can bathe the dog as and when needed, there aren’t any hard and fast rules. Other than that, you should regularly trim your dog’s nails, clean his ears, etc. Gotti Pitbulls are fairly healthy dog breeds but, they are prone to certain health issues which is what I’ll be going through in this section. their owners. Also, the dog may become destructive if his anxiety is not addressed. The dog could get anxious due to thunderstorms, unfamiliar places, etc. It is important that you always get your dog regularly vaccinated and contact the vet immediately if you see any changes in your dog’s health. I would recommend that you give your dog a healthy diet and lifestyle for him to stay healthy and happy. My recommendations for the Gotti Pitbulls include: The Best Dog Food For Pitbulls. The Gotti bloodline is one of the most popular ones. These dogs are usually shorter than the regular Pitbulls and are more stocky, broad, and muscular—something that’s very hard to miss. But, you shouldn’t be mistaken for their intimidating looks. These dogs are loving, caring, and kind. They go along well with kids and other animals if trained right and love to run around and play. However, these dogs really don’t make good watchdogs.